You are correct that SCS will not come . 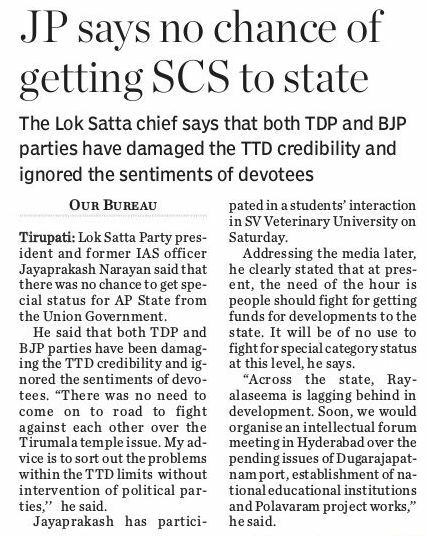 CM without giving Full Details to Andhrites.It looks Babu,s strategy is to blame Center for Funds, so that He can develop AP as dreamet by him. Even though center told him that Rs.53 Lakhs Crores spending is high , which I also agree , Babu s ays that He developed Hyderabad by calling Microsoft to Open Office. This is done by all CMs of all states and new industries are coming . Thus Nothing Great .Babu is blaming Cente for Funds and center disputes it . 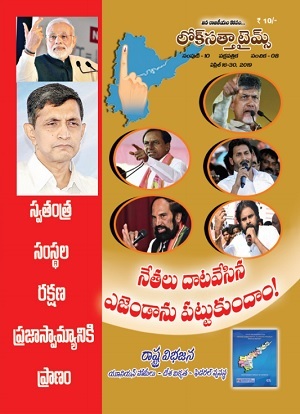 Why not AP give White Paper with Full Deatais. 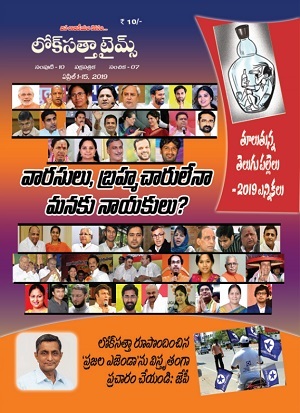 TTD is alked some details by Archealogical Dept., as disputed issus cropped up but Babu directly blames ceter for it alleging that it plans tp take over TTD, while devotes were blaming babu for fixing other Religious People in TTD Board . Atleast if Babu gives a white Paper showing details of Projects he Planned, Funds asked for, Agreed by center as reasonable and reimbursable , spent , Balnce due . Leaving his strategy of Blaming Center for every thing , for Votes, a micably working and getting works done is better . స్థానిక సంస్థలపై ఎమ్మేల్యేల పెత్తనం ఎందుకు?